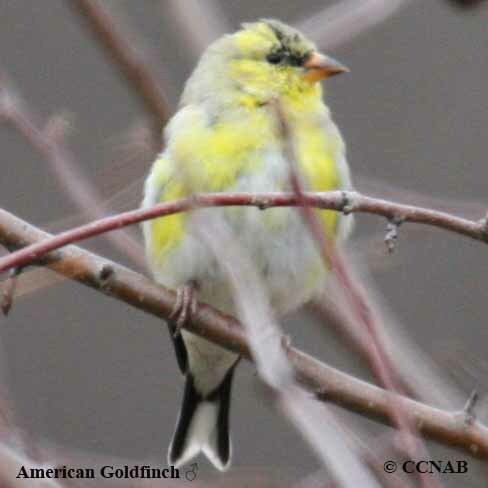 The goldfinches can be found throughout most of North America excluding the northern tundra regions. There are three types of goldfinches, the American Goldfinch which has the largest range and can be found in all areas of the United States and the southern regions of Canada. The Lesser Goldfinch lives in the larger portion of the western states and Mexico and lastly Lawrence's Goldfinch which is only found in two states and Mexico. It is not uncommon to have goldfinches coming to birdfeeders to enjoy niger and millet as their preferred birdseed.